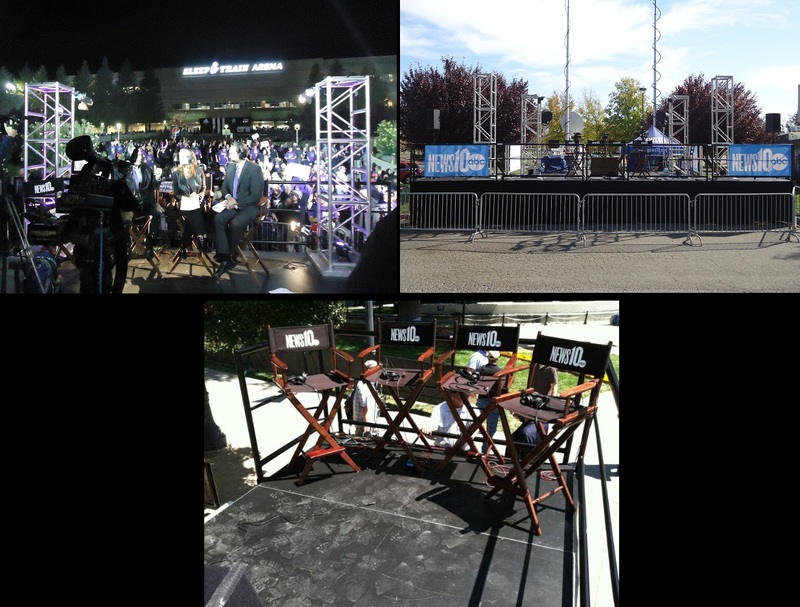 TV Media Stages for rent from Stage CMDR, Inc. in Sacramento. Stage CMDR’s stage platforms are sought out by many camera crews for the simple fact that, the stage platform doesn’t wobble, creak and has a smooth finished surface. 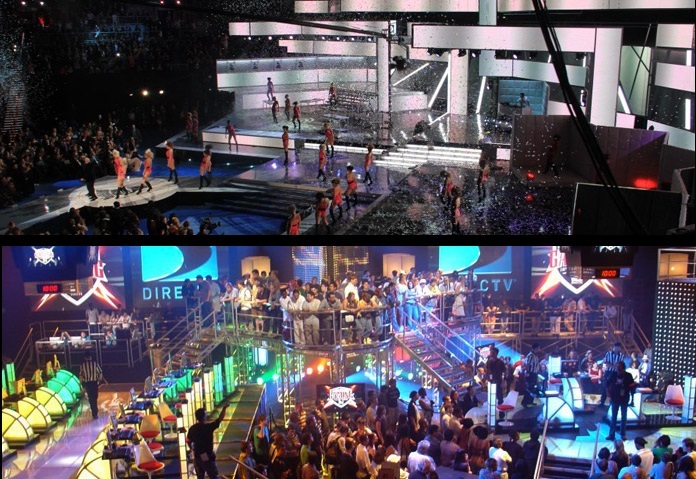 One of the most common used stage deck surfaces in the TV and media industry is the clear, frosted and high gloss white, black, gold, red, blue and grey. 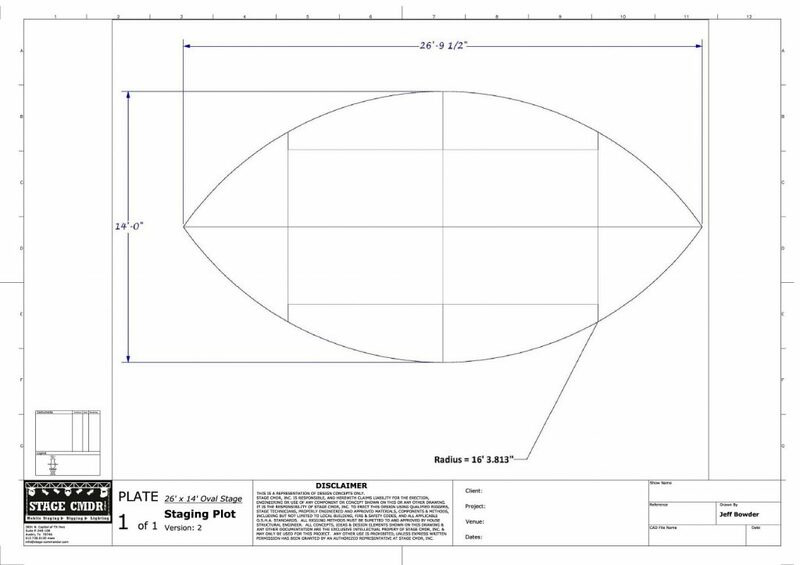 The rendering below showcases a custom built oval shaped stage that was for a news station stage set. This stage was constructed from our Commander Stage Decks topped with a glossy black deck surface.